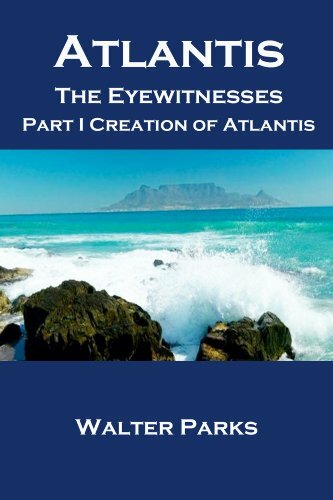 about this book: We provide archeological evidence and scientific facts that prove that Atlantis really did exist. We have found relics of the creation of Atlantis and compared them to the current understanding of the geological evidence of how Atlantis was formed. It was the forces of plate tectonics that created Atlantis. Perhaps the best solid evidence for the existence of Atlantis predates Plato's dialogs. Let's go back in time to about 225-250 million years ago. At that time essentially all of Earth's land masses were grouped into one large continent called Pangaea; meaning "all lands" in Greek. But the land masses sit on large structures in the Earth's crust call tectonic plates. These plates are constantly moving and this causes the various land masses, continents and islands to drift relative to each other. The Earth itself is made of 3 layers: the crust, mantle, and core. The mantle has a brittle portion somewhat like the crust, and a softer portion that interfaces with the molten core. The crust and the brittle top of the mantle ride, you may say float, on the softer part of the mantle and core. This moving portion of Earth's surface is made up of several "plates". These plates are steadily moving relative to each other. Atlantis was formed when tectonic plates began to separate and formed the Mid-Atlantic riff. Several islands and land masses were formed on the Mid-Atlantic riff. Iceland is a great example of such activity in that the activity is continuing. A new landmass just off the coast of Iceland has formed recently. We found the remains of the sunken Atlantis.